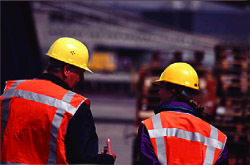 Assure Health and Safety Consultants Limited provides high quality service to the construction sector. We specialise in the management of health and safety during procurement and the design process of building and civil engineering projects. We work closely with design teams, providing assistance on the implementation of design risk assessments. Welcome to Assure Health & Safety Consultants.